TVS Motor Company has added a new variant to its XL 100 range of mopeds in India. The TVS XL 100 i-Touch Start is the top of the line variant that comes with a self start and is priced at Rs 36,109, ex-showroom Delhi. This makes it Rs 2,600 more premium than the XL 100 Heavy Duty and Rs 3,350 than the XL 100 Comfort. The three states where the TVS XL100 i-Touch Start will be sold, as per the official website, in India are Delhi, Uttar Pradesh and Uttarakhand. 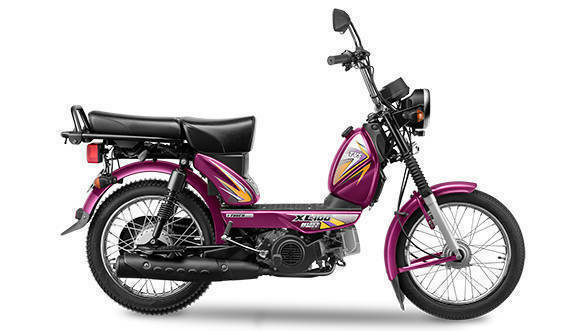 With its minimalist and simple design, the TVS XL 100 is primarily aimed at the rural markets in India. 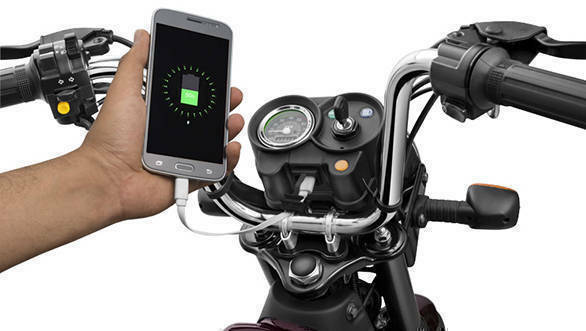 The TVS XL 100 i-Touch Start features a self start powered by a 3Ah battery that is 30 percent more efficient when compared to conventional electric scooters. Additionally, the TVS XL 100 i-Touch Start comes equipped with LED DRL, USB charging, detachable rear seat to mount luggage, vinyls and a new purple shade called mineral purple. 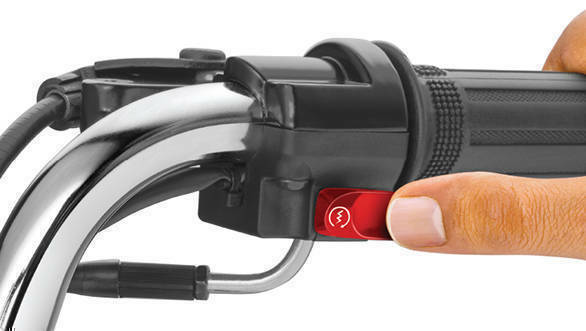 Powering the TVS XL 100 i-Touch Start is a 99.7cc 4-Stroke single-cylinder engine that makes 4.3PS at 6,000 rpm and generates 6.5 Nm at 3,500 rpm. With its minimalistic and simple design, the TVS XL100 is primarily aimed at the rural markets in India. While there are no exact rivals of the TVS XL 100 in the country, in terms of pricing, it competes with the Bajaj CT 100. TVS Motor Company registered a sales growth of 15 per cent, increasing from 2.73 lakh units in June 2017 to 3.13 lakh units in the month of June 2018. The company recorded a domestic two-wheeler growth of 7.7 per cent with sales increasing from 2.28 lakh units in June 2017 to 2.46 lakh units in June 2018 while the scooter sales grew by 13.6 per cent from 90,448 units in June 2017 to 102,763 units in June 2018. The motorcycle sales grew by 14.9 per cent with sales increasing from 1.12 lakh units in June 2017 to 1.28 lakh units in June 2018.